You’ll now see this button in the Reel Breakdown and throughout the Asset Manager. The purpose of this button is one of the reasons I created Synaesthesia in the first place, and it’s a considerable milestone for it to be included. Here’s the scenario: during the lifetime of a production, reels (and other assets) that are created will be sent out to post facilities, loaned out to people, and so on. How do you keep track of all of this? Until now, you could do this by simply changing the reel’s (or asset’s) location. The problem is, that doesn’t tell you where the item belongs. 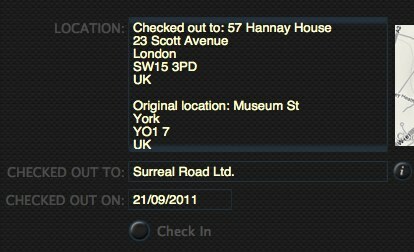 With the check-out system, you still have the original location stored, but there’s a record of who it was checked out to, and when. Nothing earth-shattering, but useful when you later try to track down that reel that’s gone missing. And it’s as easy as going to the reel breakdown and clicking a button (or via the Asset Manager). Also, Apple today released Final Cut Pro 10.0.1 which has a brand-new XML format. So expect support for that in the next version of Synaesthesia (maybe…). Current Synaesthesia users will be notified of the new version when running the application during the next few days, otherwise it can be downloaded as usual. Synaesthesia has been in beta now for almost 2 years, and I believe, is almost production-ready. James Cameron hates gurus. He imagines them in white lab coats, telling people what they can’t do. On the other hand, him and Vincent Pace want your money in return for certification. In a nutshell, Cameron Pace Group is trying to become the authority on all things 3D. Their idea is that everything from the workflow and kit used during a shoot, through to the consumer equipment used to playback 3D content will be branded with their logo, much in a similar way to THX and audio equipment. Will they be successful? Well their showreel is certainly impressive. Adobe has acquired IRIDAS, they of the wonderful SpeedGrade software. Looks like Adobe could be dipping its toe into digital intermediate waters at last. 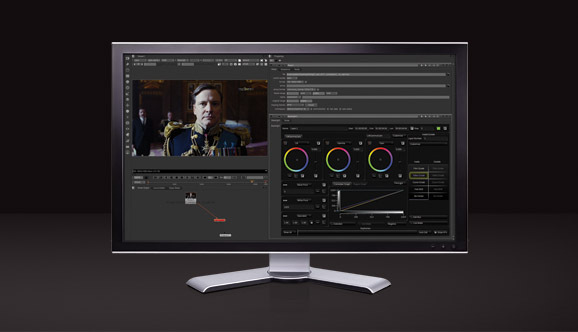 Blackmagic Design’s DaVinci Resolve is now available for Windows (in addition to Mac and Linux). 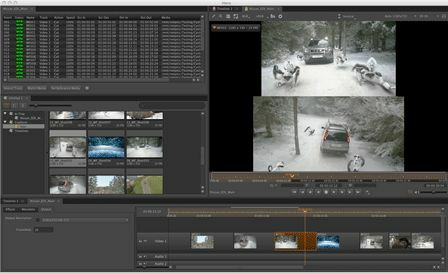 Filmlight’s Baselight is now available as a plugin for The Foundry’s Nuke, which is a nice idea, especially considering that their Final Cut Pro plugin may turn out to be a waste of time. 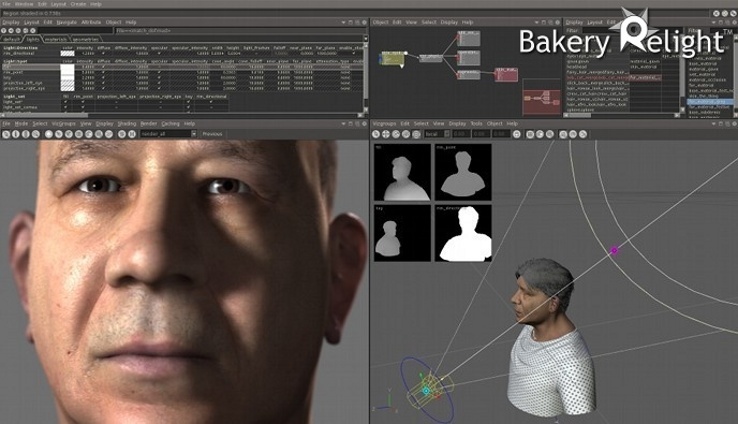 The Foundry themselves were introducing a new workflow tool, Hiero. It’s the first stand-alone conforming system I’ve seen (that wasn’t just a cut down grading system at least), and there’s a beta programme if you want to take a closer look. One of the more interesting products (although not a new one) was Colorfront’s On-Set Dailes. It will ingest and output any format under the sun, has a gorgeous interface, and is the only digital dailies system that I know of that will do sound sync. If you are involved with dailies in any capacity, take a look at it. There were several “alternatives to FTP” on offer, like TixelTec and FileCatalyst, boasting high-speed transfers, but conveniently neglecting to point out that the transfer speed is almost entirely limited by the lowest speed of either party (oh yes, and FTP is simple and also free to implement). On the other hand, the FileCatalyst Webmail system, which is designed to be a user-friendly front-end to file transfers, is worth a look. 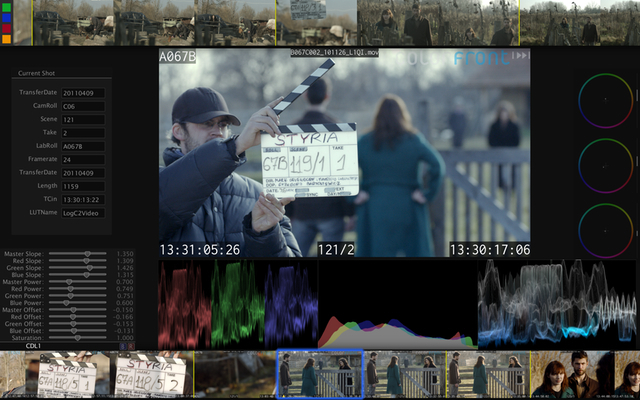 Finally, anyone interested in where colour grading might be going next, should take a look at Bakery Relight. It’s a system for 3D animation rather than post-production, With more work being done in 3D, and with advancements in 2D-to-3D technology, it’s only a matter of time before we start to see tools like that in the grading suite. …Um no. I was thinking of something else there. This is just a very minor update to fix some bugs and tidy up some loose ends. It also extends the trial period through the end of September. Speaking of everyone’s favourite editing system, Apple have officially announced that there will be APIs made available soon. Hopefully this will allow a future version of Synaesthesia tie directly in to Final Cut Pro, and thus restore some of the missing functionality. Strange that there isn’t really a more convenient way, but there you go.